Lebanon, a small Mediterranean country, has been in the news this past week following the revelation that the actor George Clooney got engaged to Amal Alamuddin, a British woman of Lebanese descent. 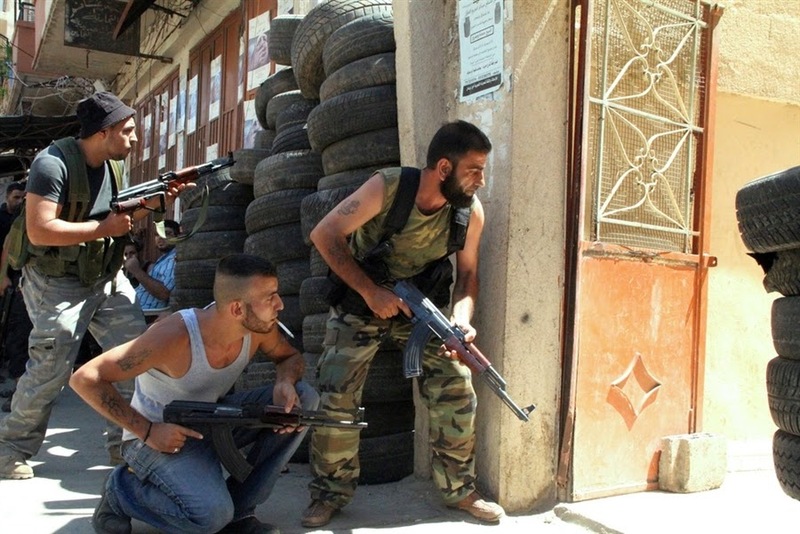 Lebanon is an obscure country that is hardly ever in the news, primarily because of its peaceful nature and its total lack of newsworthy incidents and events. We have done some research about this country to introduce it to a Western audience, captured in this photo essay. 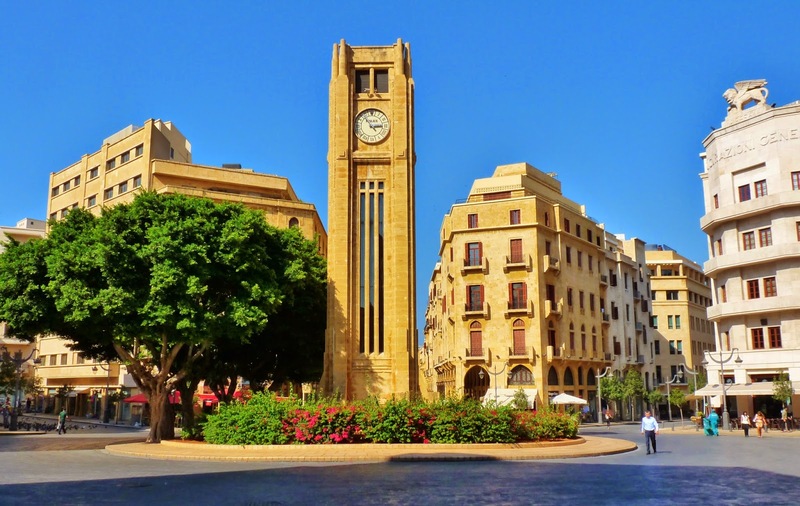 The Lebanese are obsessive about punctuality and being on time as attested to by this monument in downtown Beirut, dedicated to the concept of time. Public monuments in Lebanon celebrate high-minded concepts, reflecting the country's deep intellectual passions. 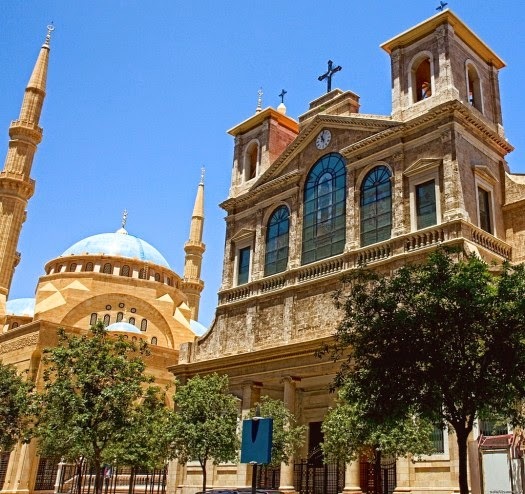 Religion plays a very small role in public life in Lebanon and most of its citizens aren't interested in religion. The only religious buildings that could be found in the country are ancient and are rarely visited except by tourists. Philosophy and intellectual debate are the real passions of the Lebanese people. There are several important schools of thought that compete over purely intellectual matters, and their leaders are treated like celebrities are in the West. The Lebanese passion for those philosopher-leaders is so strong that they often adorn their houses with large pictures of those philosophers. Lebanon is a sparsely inhabited country, you can drive for hours without seeing another car. Traffic jams are virtually unheard of and most people live very far from their closest neighbours to form a meaningful relationship. Haifa Wehbe, Lebanon's most famous poet and performance artist. Seen here in a mock-photograph parodying the conventions of erotica and subverting western media's representation of women. Her profound work has earned her millions of fans in this serious and high-brow country. Young Lebanese men participate in an ancient folk celebration that reflects the country's peaceful nature and its traditional rejection of violence and war. The 'ma'araka' celebration was initiated in the 19th century as a form of subversive protest against militarisation. Snow is virtually unknown in the country, in fact it has snowed only once in the country's history, a moment that was captured in this rare photograph. 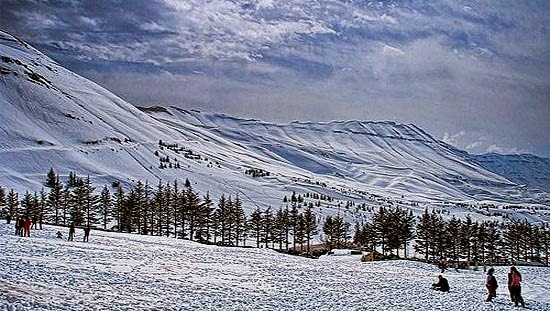 If you're interested in skiing, then Lebanon isn't for you. 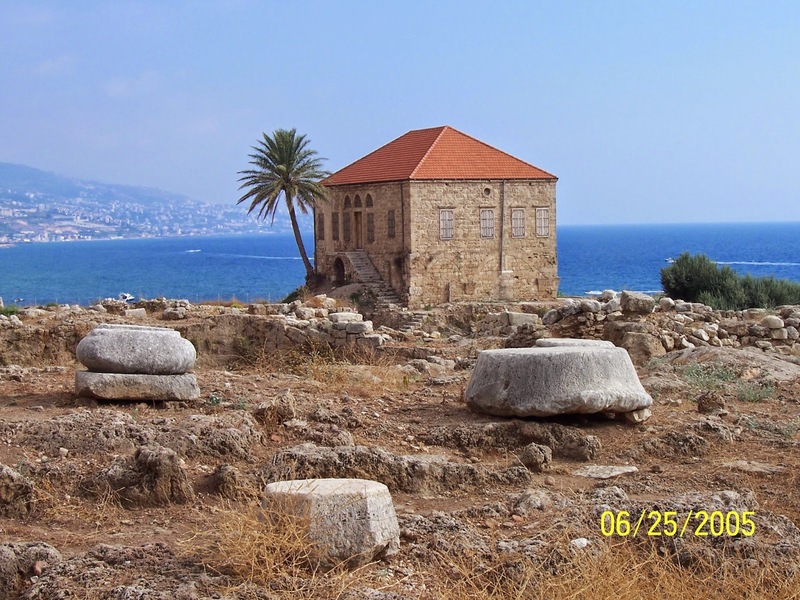 The Lebanese are also notoriously averse to the sea despite being a coastal nation. Very few people know how to swim in Lebanon. So if skiing and swimming are your things, then definitely don't go to Lebanon. 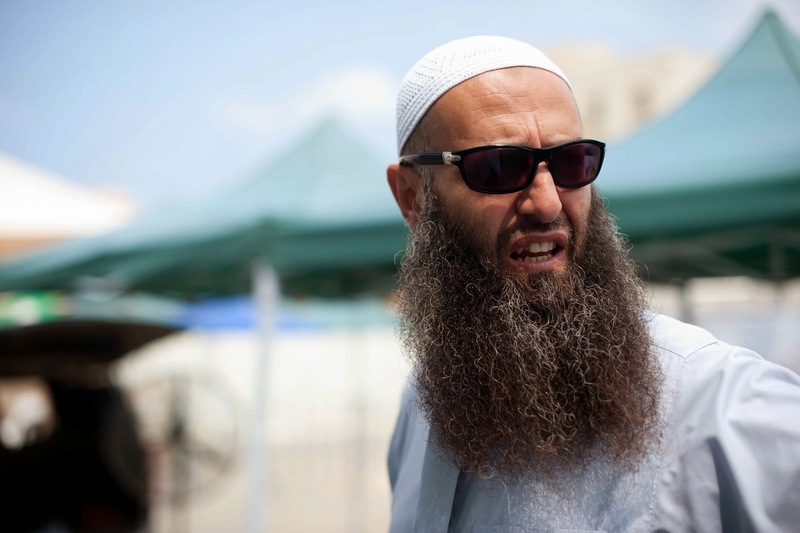 One of Lebanon's 'peace-monks', secular pacifists who spend their lives spreading the message of tolerance and loving your neighbour. 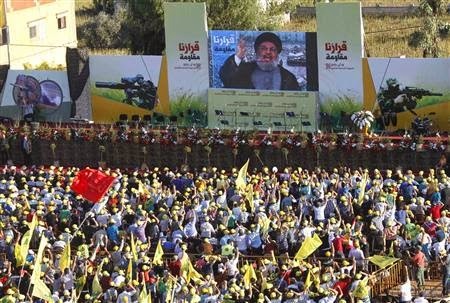 Lebanon's most popular celebrity philosopher Hassan Nasrallah giving a public speech to thousands in Beirut. This particular lecture was about the finer points of post-structuralism. Lebanon's most famous football player Saad Hariri. The Lebanese aren't that interested in sports and certainly don't use them as a vehicle for sectarian conflict, hence most athletes are slightly fat. 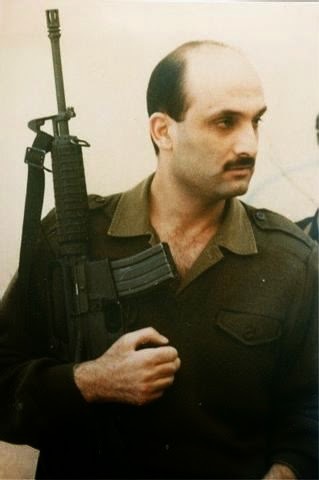 Lebanon's celebrity TV medical expert, Dr Samir Geagea, seen here here with one of his unorthodox cures for acne. 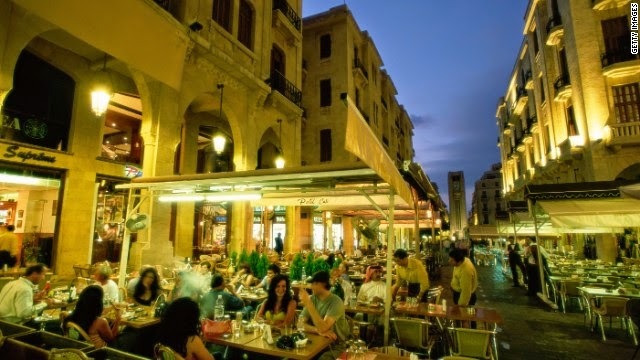 The Lebanese are definitely not night people, and nightlife offerings in Beirut are very limited and boring. There are no nightclubs and very few bars, mostly frequented by tourists. The local population is in bed by ten, after saying things like "I'm so tired, I have to go up early in the morning to meditate." Cafes are popular among people who like to discuss alternative economics but they close at dusk. Experimental fireworks in Beirut celebrating the big bang theory and showing the country's deep fondness for science and intellectual pursuits. I have not laughed out like this for a very very long time. Thank you!! A Nice dose of satire. That was hilarious. Cheers. Hahahaha i just love it!!! and i love the "alternative cure for acnes"
The philosopher debate and the cure for acne certainly nail it! I love the sarcasm! However, i don't think that this should be published. we should help promoting Lebanon as a touristic destination as much as we can; rather than highlighting what we suffer from! Even when you had the opportunity to publish something attractive about our country; you did it wrong. (Example: Snow and Nightlife; which are considered a great 2 factors about the Tourism in Lebanon). Now we (as Lebanese) will understand this. But what about other nationalities! how will they understand that we have the best nightlife and the best ski resorts if they by any chance visit your blog. I totally respect your work and I admire it! But if you want to strengthen the tourism sector in the country; then you wouldn't publish that. Would you? actually, Ibrahim, I think that just about everybody will get the sarcasm. Don't worry about Karl's sarcasm. But irony may be picking up steam in this world of ours. Hussein Obama just said that the Nobel peace prize may be given to just about anybody. Even he got it. actually this is the most intelligent and humorous article about lebanon i have ever seen, spot on about lebanon and the lebanese with their sense of humor and satire revealed in this hilarious commentary! As a citizen of Israel, I would just like to mention how generous the Lebanese are in sharing their fireworks with their neighbors. 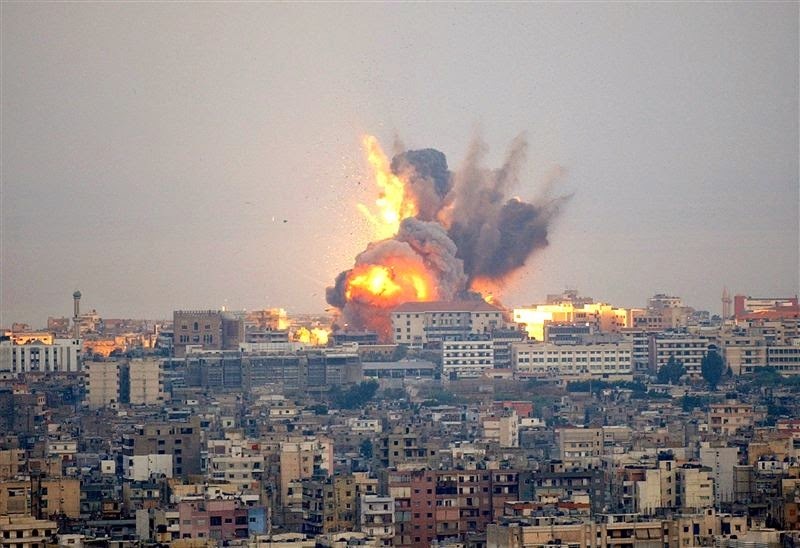 Let me assure you "citizen of Israel" and the rest of the world that your Air Force and Your Army have been much more than "generous" with Lebanon went it comes to those"fire works" for the past 40 years; killing 100s of thousands of innocent Lebanese civilians in cold blood!!! actually, the picture in the blog is "fire works" your air force was generously raining over Beirut in 2006! We might be critical of ourselves and we accept our faults in an effort to fix them one day but I strongly advise you to do the same especially that your are a citizen of an apartheid state built on religious and ethnic discrimination. What is worst is that your country exists and thrives on its military's thirst for blood and destruction.